Honestly, where else were we going to start? AJ Styles is one of those rare never before seen matches between two giants in the wrestling world. John Cena is the franchise man for the biggest promotion in the world while AJ Styles is the man who has proved himself pretty much everywhere around the world except the WWE. To see these two in the ring together is special in and of itself but to see them feuding with each other is just magical. The segment last week on RAW when Styles turned on Cena was great but this was another gear. Cena came out and you could tell that he was being serious. 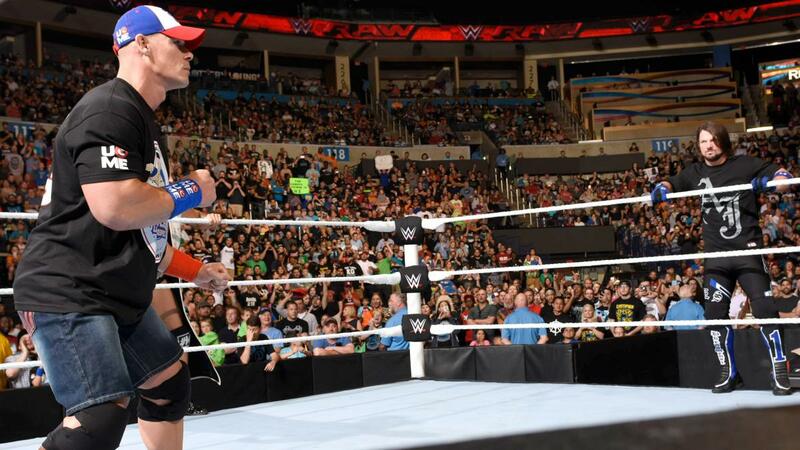 When we see serious Cena you know it's going to be good. He called out Styles and they went back and forth verbally. Styles held his own against Cena and their was so much fire and animosity to both mens words. While WWE continually struggle to create compelling feuds one thing they do well is make video packages. Both videos for Seth and Roman were very good and gave us an insight into their bad blood with each other. They weren't without their fault however. The Tag Team titles will be defended at MITB in a fatal-4-way match. This makes it a good bet that New Day could drop the titles. Rusev could defend his title in a triple threat. Excellent. More people for him to Matchka. It's hard to believe that WWE are really invested in the Women's division. More than one segment a week would be nice. Somehow this Golden Truth thing is still happening. 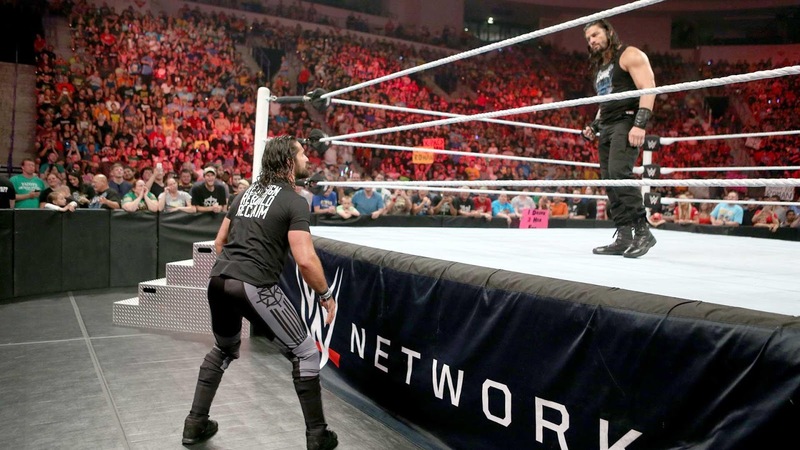 Breakdown, analysis, review and talking points from WWE RAW in Oklahoma City on June 6 2016.